Moving to Senegal - Compare International Movers & Save up to 70% ! Intlmovers is a quick and easy way of finding and comparing international moving companies that can help you with your relocation to Senegal. By using Intlmovers you save both time and money, because Intlmovers allows you to compare international moving quotes from op to six experienced moving companies at once without any obligation. Complete the easy request form and receive quotes directly for international moves to Senegal. 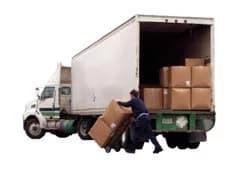 The international moving companies have years of experience with moves to Senegal.